PERFECT SOUTHERN COLOR COMBINATION ON THIS FULLY EQUIPPED ONE OWNER OFF LEASE VEHICLE-BLIZZARD PEARL WHITE EXTERIOR WITH BEIGE CLOTH INTERIOR! GREAT FUEL ECONOMY WITH UP TO 51 MPG CITY AND UP TO 48 MPG HWY! EQUIPPED WITH GPS / NAVI / NAVIGATION SYSTEM! BACK-UP CAMERA! BLUETOOTH! XM SATELLITE RADIO, SMARTKEY WITH PUSH BUTTON START! AUTOMATIC CLIMATE CONTROL! STEERING WHEEL CONTROLS! REAR SPOILER! 15'' ALLOY WHEELS! AM-FM STEREO WITH CD PLAYER! AUX INPUT FOR IPOD OR MP3 PLAYER! POWER WINDOWS! POWER LOCKS! POWER MIRRORS! CRUISE CONTROL! TILT AND TELESCOPIC STEERING WHEEL! REMAINDER OF FACTORY WARRANTY! GREAT FINANCING AVAILABLE! LOW COUNTRY MOTORS VEHICLES ARE THE BEST AVAILABLE PREOWNED VEHICLES ON THE MARKET AND THOROUGH RESEARCH HAS BEEN DONE TO PROVIDE YOU WITH THE MOST UP TO DATE BEST MARKET PRICE! WE ARE A FAMILY OWNED BUSINESS AND LOW COUNTRY MOTORS IS GOING STRONG ON 24 YEARS IN BUSINESS! STRAIGHT TALK, NO HASSLES HERE AT LOW COUNTRY MOTORS IN BEAUTIFUL BLUFFTON,SC! THE PROOF IS IN OUR TESTIMONIALS! WWW.LOWCOUNTRYMOTORS.COM AND WWW.DEALERRATER.COM! 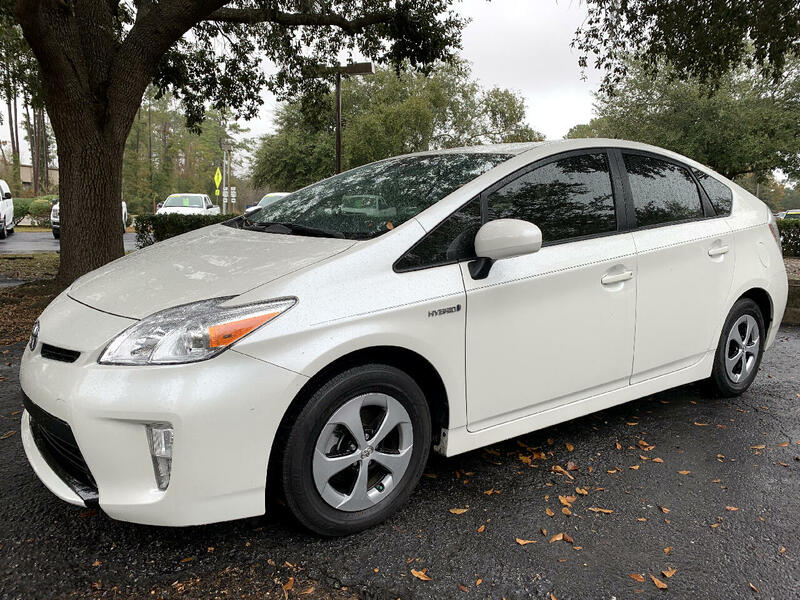 Visit Low Country Motors online at www.lowcountrymotors.com to see more pictures of this vehicle or call us at 843-815-5100 today to schedule your test drive. Message: Thought you might be interested in this 2015 Toyota Prius. *Sale Price is advertised sale price. Tax, title, and license fees are not included and $249.00 Dealer Administrative Fee is included in Sale price.